A White Dove Release can be a unique and unforgettable gift alternative! a breath-taking and unforgettable experience. 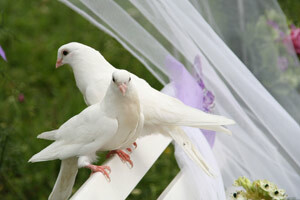 White doves have long been a symbol of love, fidelity and peace. 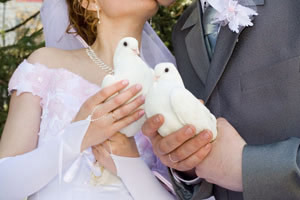 A White Dove Release is the perfect and unique way to incorporate this symbolism into your wedding ceremony. Whether you choose the simplicity of two doves, representing the unity of life's journey together, or the grandeur of a white flock release, it is sure to be a spectacular and unforgettable addition to your special day! Because we realize that every ceremony is unique, we welcome the opportunity to customize a package that fits your needs and budget. 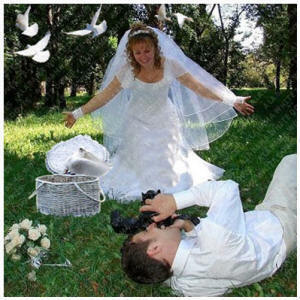 Call today to learn more about our spectacular Wedding Releases!